So, how can I make a candy bar healthy you ask? Well, after checking out the endless amounts of healthy snacks and swaps that I could possibly make on Nuts.com I knew exactly what to make. Nuts.com healthy snacks page had great ingredients that I had no idea existed. Puffed quinoa? Cashew butter? What?! So I went out on a limb and decided to make something that I would normally never make. 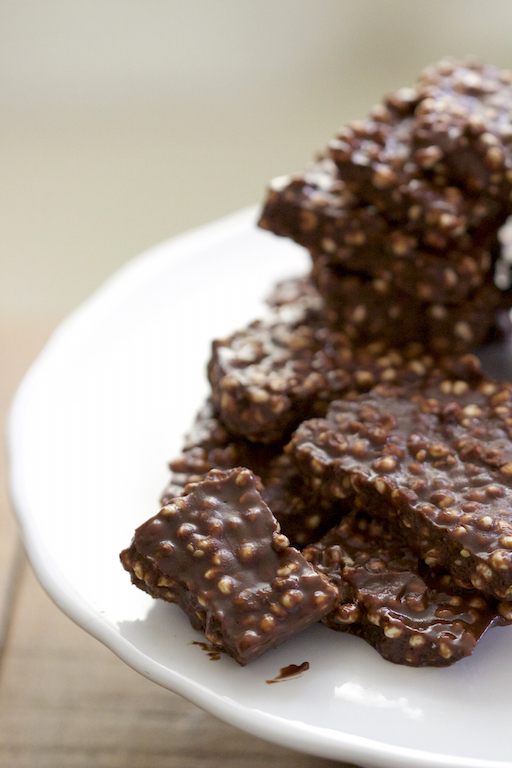 A healthier version of the crunch bar. I knew that cashew butter was super creamy and vegans use it as their secret weapon. 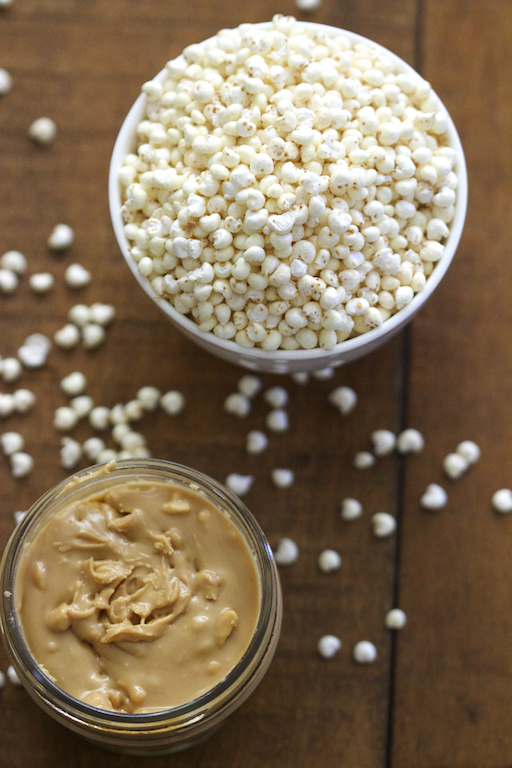 Puffed quinoa is full of fiber and other nutritional benefits that make your tummy happy. And coconut oil? Don’t even get me started! 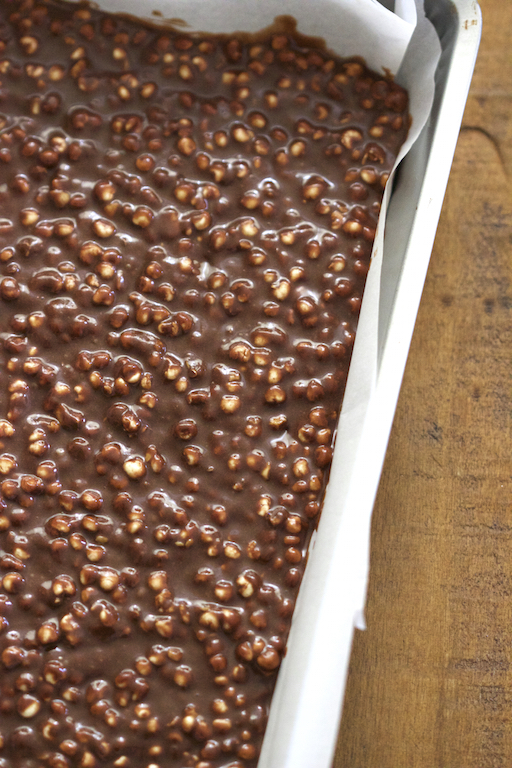 This recipe is easy, just mix everything together, pour into a baking pan, freeze and voila, candy! 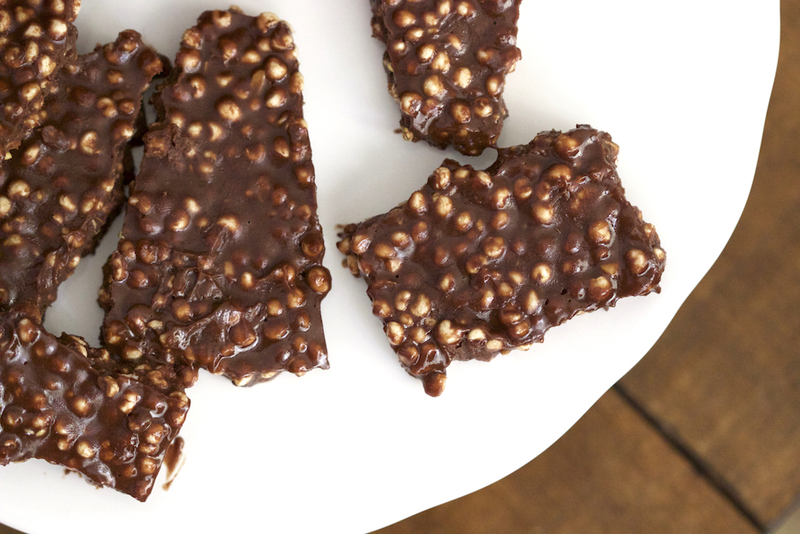 This crunch bar is full of nutritional benefits to help with digestion and give you energy all day long. You will be more than satisfied and you didn’t even have to sacrifice anything after all! It’s a vegan/gluten free treat and no one will ever know. In a large mixing bowl whisk together the coconut oil, maple syrup, vanilla extract, cashew butter. After the wet ingredients are combined and mixed well, add in the cocoa powder until thoroughly combined. Then mix in the quinoa. Line a baking pan with parchment paper, pour the mixture onto the lined baking pan and freeze for about 20 minutes. This looks like the best kind of indulgence food. There’s some great stuff in amongst the indulgent tastes. Smashing! It’s definitely tasty! Thank you! THESE LOOK SO DELICIOUS ❤ I love it! This will be a perfect fit for my vegan family members – Whoop whoop, so glad I found your blog.